The Turakhia Brothers are successful entrepreneurs. 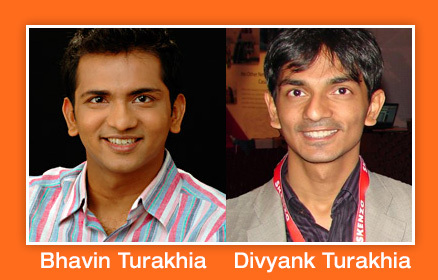 Directi UAE is a business consortium owned by the Turakhia brothers, Divyank and Bhavin. The company currently owns two thirds of Media.net, with the remainder managed by another investor on-board, London-based Ashmore Investment Management. According to The Times of India, Media.net, which manages over $200 million dollars in annual revenue is the only venture started by the brothers, which has an investor on board. And now, it’s buy-back time. For the full article about the Turakhia brothers, click here. Many thanks to domain investor Manmeet Singh for the tip.